Reliability designed to fit your budget. TRY THIS PLAN FREE. NO CREDIT CARD REQUIRED. $14.99/month TRY THIS PLAN FREE. NO CREDIT CARD REQUIRED. Need more? If you need more than these plans offer, such as international calling, support for more users, volume pricing, and API access, we offer flexible plans designed to meet your needs.  Sending a fax is as easy as sending an email. Start sending and receiving faxes from your computer or mobile device in a matter of minutes— no fax machine or phone line required. Individuals and small businesses can now subscribe to the online fax service previously available to organizations sending/receiving hundreds, even thousands, of pages a day. Take advantage of the robust performance and superior reliability of an online fax service designed to meet the mission-critical needs of Fortune 500 companies and government agencies. See how easy Biscom 1-2-3 is to use. Biscom 1-2-3. Try it free now! PICK YOUR PLAN AND TRY IT FREE.